Man is mortal and this is the universal truth. Of course, life span may vary according to the physical, social and mental conditions of a person. But some people are blessed with immortality despite physical death. Dr. Bhupen Hazarika or very popularly 'Bhupen Da', is physically absent today. His soul has bid adieu from all the earthly possessions forever; never to return again. He is an example of immortality through his immortal compositions and till the Assamese society exists. He was a living legend till his death and will remain a legendary and inspiring figure for all the people irrespective of caste, creed, religion, region and language. He is the symbol of brotherhood, a voice of the mass. He has remained an inspiring soul for more than four generations and the same will continue in the days to come. His songs have an unique appeal that can easily mesmerize the listeners. Even the impact of modernization fails to destabilize and suppress the beauty and smell of nature and mother earth as well as instinct spontaneous emotions and feelings, happiness and sorrow of human life as depicted in most of his musical creations. His music will always guide and teach us to strengthen and maintain unity and integrity among ourselves. Today in this mournful and holy occasion, my mind fills with the incidents of my encounter with him in different occasions at different times of my life. About thirty five years ago, when I was a young boy of twelve or thirteen years, I had the first opportunity to get in touch with Bhupen Da at his residence at 'Nijara Paar' area in Guwahati. And the meetings continued; mostly in the time of Bohag Bihu (Assamese festival) and after his return from the musical trips outside of Assam and abroad. He would often express his fondness towards 'Nijara Paar' and many of his immortal creations got the final shape in this very place. I spent many memorable evenings by listening to his narration about his experiences. He loved children and there were occasions when he used to play cricket with me, Raja (Mayukh Hazarika, son of Jayanta Hazarika) and the son of Late Amar Hazarika. During the time of Assam movement in 1979/80, I was one of the co-carriers of his harmonium on his shows and concerts, along with Late Amar Hazarika (brother of Bhupen da). 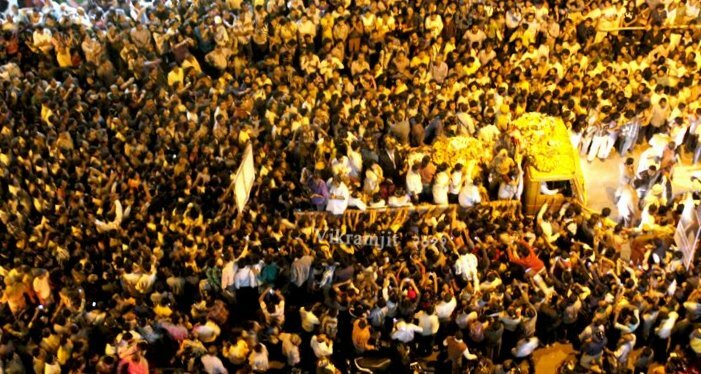 Once in the Judges Field, Bhupen da was invited to sing in front of a huge gathering. 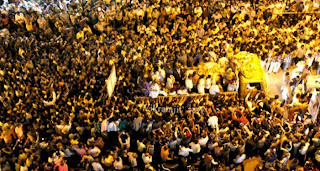 People flocked from far off places to see him and listen to his spiritual numbers. Bhupen da had a habit of singing and playing the harmonium standing in the live concerts. But, unfortunately that very day, the organizers at the Judges Field forgot to put a table to keep the harmonium. But Bhupen Da was adamant to stand and sing. So, me, Amar Da and two other boys had a strenuous moment to hold the harmonium for more than two hours. That was an unforgettable experience. Later, during 1989-93 in Kolkata (then Calcutta), I used to meet Bhupen Da at his second residence at Tollygunj. I was a student of B.A. majoring music at Rabindra Bharati University. It was a golden era of my life as I happened to meet several distinguished personalities from the field of music. Occasionally, I would visit Bhupen Da after my classes or on Sundays and he would always welcome me with warmth. As we bonded more, sometimes I would go to his private room directly. I still remember his bed on the floor, scattered papers, pens, a harmonium and a mini keyboard in the room. I remember him saying one day that - to become a successful lyricist one has to study a lot, then to feel the rhythm in his blood and above all should have emotions in micro forms. Bhupen da was the person who inspired me to study music. He expressed his happiness when I was accepted as a student in the Department of Music at Rabindra Bharati University in Kolkata; though later, I shifted to Indira Kala Sangit University of Sattishgarh (then Madhya Pradesh), where I completed my Master of Music in 1993. Bhupen da wanted me to go for higher studies in the United States. In 1994, during his visit to America, he raised the matter in front of AANA (Assam Association of North America). But unfortunately AANA was divided into two fragments due to internal conflict and thus the matter was subsided and forgotten. But Bhupen da taught me one thing which is ‘to struggle’. He himself had struggled a lot in his lifetime. And for his hard work he is known world-wide today. He said once, “Be optimistic always. Never allow any passive feeling in your mind. Struggle to achieve your goal. Don’t hesitate to do any work you may feel inferior or shameful. Be honest always.” I humbly obey these words till date. Another memorable occasion was the editing of his film ‘Siraj’ at a studio at Tollygunj, Kolkata, where he used to explain each and every step of editing to me. Since it was not modern digital system, editing was a tiresome and tasteless work. But it was inspiring for me to watch Bhupen Da working and be at ease with the whole concept. Today Bhupen da is no more, but his memory associated with his sweet words, activities, his expertise in cooking, specially Assamese ‘Tenga’ and ‘Khar’, will never get erased from my mind. His songs has been inspiring and helping me to over come lethargy. I believe Dr. Bhupen Hazarika, Paul Robeson, Bob Dylan, Woody Guthrie and Pete Seeger together form a close-knit homogeneous group. He is the ‘Jim Reeves’ of Assam. He is the proud son of the soil of Assam - a pride of North-East India and even India. He will live forever in the minds and prayers of his admirers throughout the world. Rest in peace Bhupen da. Good tribute. A very sad moment for music lovers. We will miss him and his music. 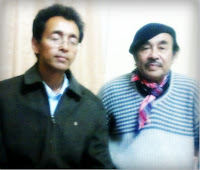 Dr Bhupen da was agreat singer. I saw his perform in Dikhou. I wanted to meet him when he came for a shooting. I couldno't meet him because of security. I will never meet him again. So sad.